Here are my Zurg and Alien bobble heads from the Funko Pop Collection! For Valentine's Day last week, my parents made the perfect choice for one of the presents they sent me in their care package (since it's pink)...the Lotso POP Vinyl bobble head to add to my collection of Toy Story Funkos! 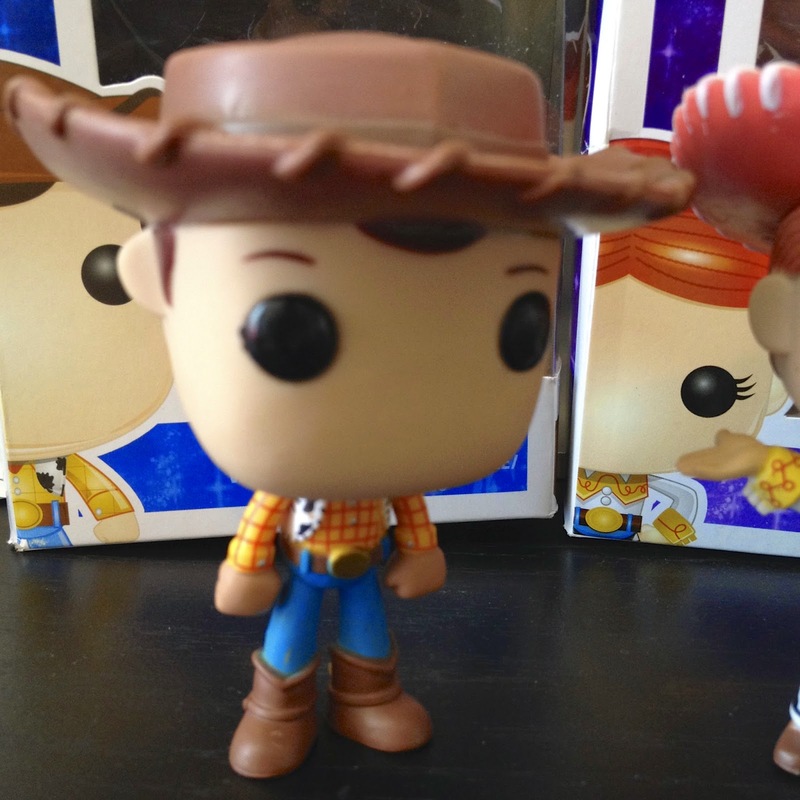 It has been a while since I've gotten a Toy Story Funko, but there has been just so much great stuff out there lately that collecting is going slowly but surely. 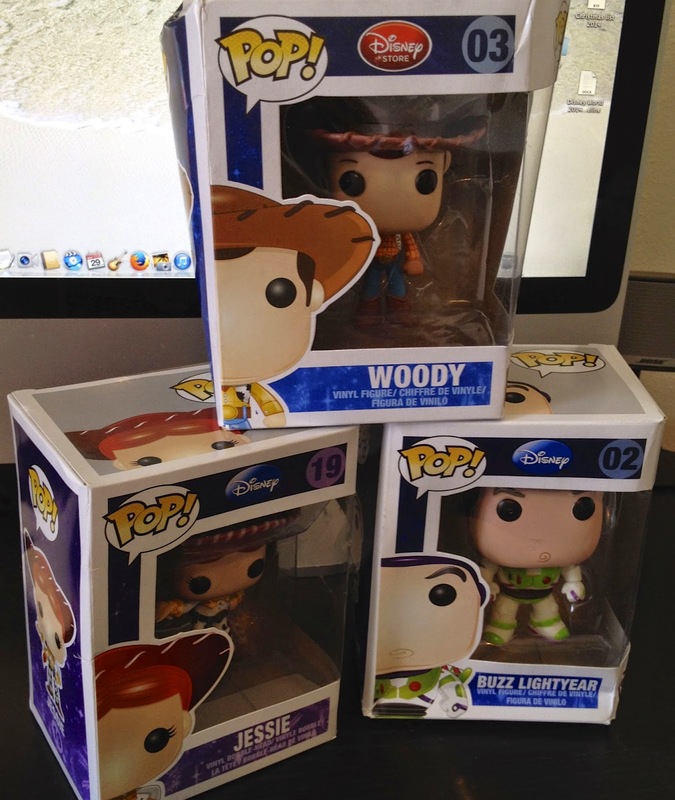 I'm glad I finally got him and that I only have three more to go: Woody, Jessie and Buzz. Find this Lotso Funko on Amazon here and also a non-bobble head version here. 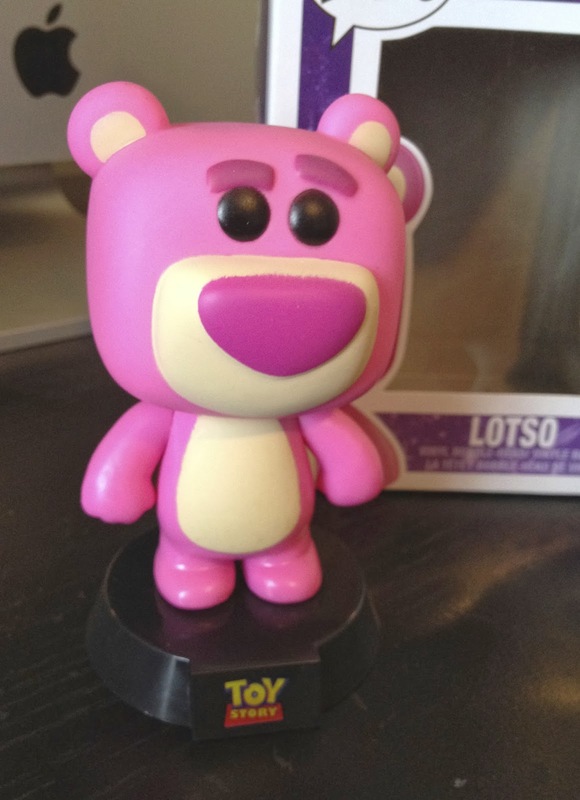 In addition to this Lotso, Funko also made a limited edition (of 480 pieces) "fuzzy" Lotso that was exclusive to the 2011 D23 convention. I can't say I'll be rushing off to get that one though because of the steep price tag on eBay. It's selling for $65-$90. 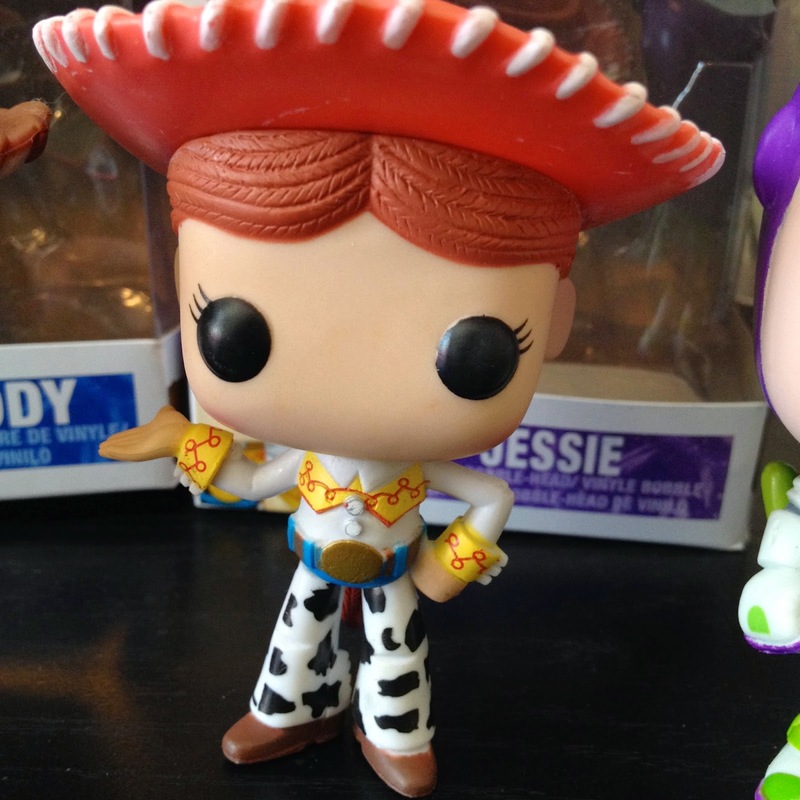 Look for more Toy Story Funkos right here soon as I add them to my collection in the coming weeks and months! 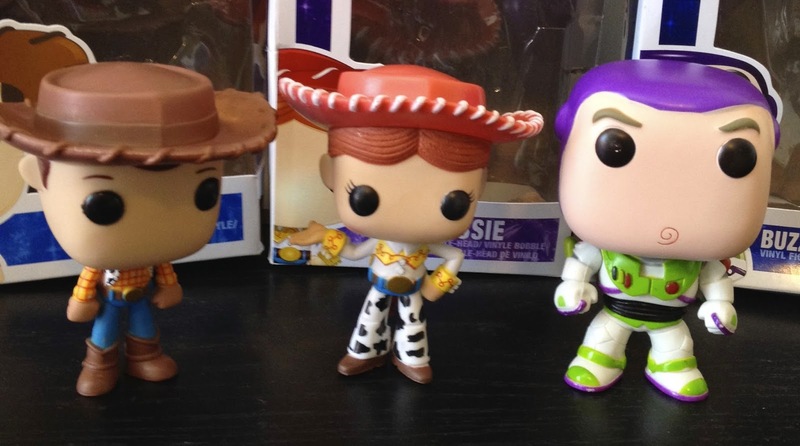 My Toy Story POP Funko collection is complete! I know there are a few more, which are convention exclusives, but I just wanted to collect the main series since the "exclusive" ones are just variations on these anyway. A big thanks to my sister's family who got me these for my birthday! They look great on display and with the Zurg, Lotso and Alien vinyls as well. These, unlike the Zurg, the Alien and Lotso I have, are not "bobbleheads". 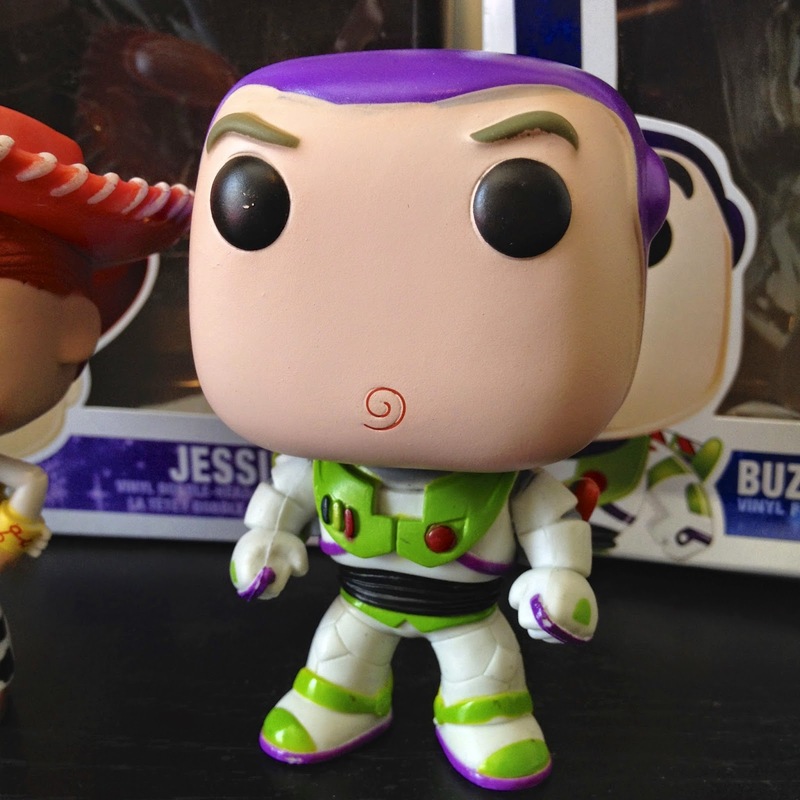 However, you can get Buzz, Woody and Jessie in the bobblehead style if you choose. I noticed the non-bobble head version of Funko Lotso is much more expensive than the bobble head version, which is strange! 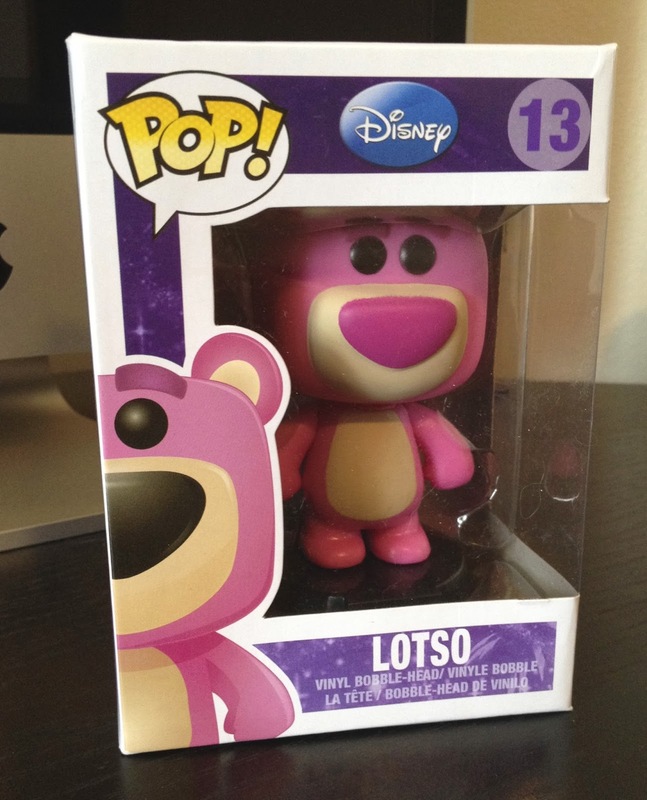 Well, usually I prefer the look of the funko Bobble heads anyway, and I DO love Lotso. I might end up getting it haha. Yah, it is weird how the non bobble version is a bit pricier....but if you're a Lotso fan than yah I would totally go for it, ha! Are you a collector of Pixar stuff as well? I sure am! I mostly have Monsters Inc and Monsters Universtiy stuff, but I also have a Toy Story Collection Lotso. :) It's really fun! I've been in search of some cool Lotso stuff to add to my collection.